This section will try to give you a clear and precise overview of what an IDC actually is, what it stands for, why you need to do one and most importantly of all, why you won’t regret booking one with Aussie Divers Phuket. If you can’t find the answer you are looking for in the IDC Overview area, please check the other IDC sections and the FAQ area, if you can’t find the answer there either, please send us an email, we are always willing to discuss your IDC questions, options and special requirements. What is an IDC (Instructor Development Course)? The IDC stands for Instructor Development Course, you are now required by PADI to complete one before attending an IE Instructor Examination. So to put it simply you cannot be an Instructor without having completed an IDC. The IDC is what teaches you everything you will need to know about becoming a PADI professional and the skills required to pass your Instructor Exams, both physical and paper based, plus rounds up all your physical dive skills to that of what is expected of someone who is now a teacher of scuba diving. 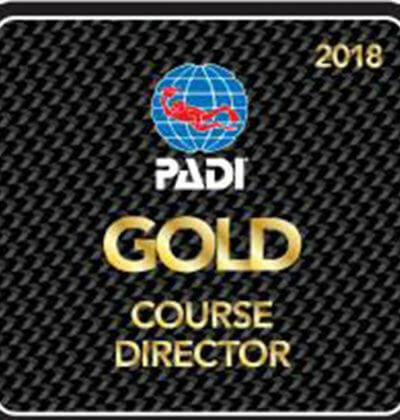 To complete an IDC successfully, a PADI Course Director will need to sign you off and agree that you are ready to attend an IE. If you do not meet the standards of an instructor candidate after your IDC you may be asked not to attend the IE. 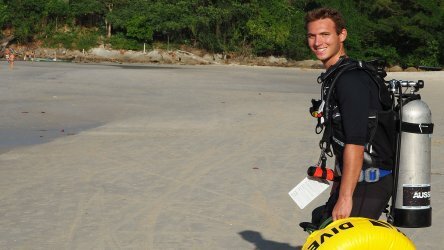 Aussie Divers Phuket has 3 main packages for IDC candidates to choose from, they are listed below. An IDC has multiple components, these components allow for varied learning and certification levels, they are explained below. 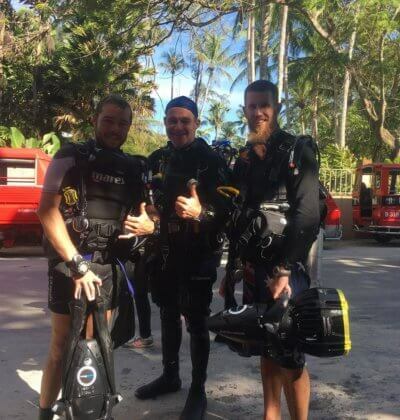 Aussie Divers has two PADI Course Directors who conduct monthly PADI Instructor Development Courses (PADI IDC), each IDC takes 12 days to complete. During this time you will go through and complete 2 different parts of the IDC course. The first part is the PADI Assistant Instructor Course which takes 5 days. 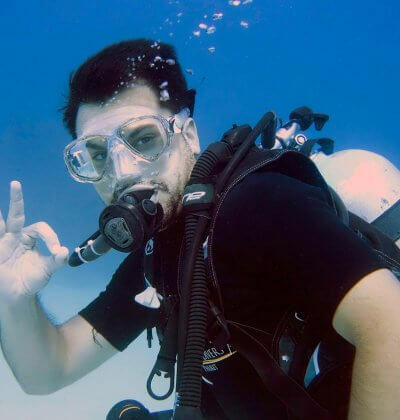 The second part is the PADI Open Water Scuba Instructor (PADI OWSI) which takes 7 days. 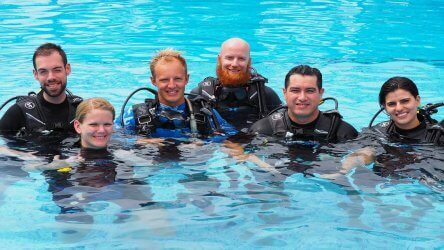 At the end of the PADI IDC, you have the PADI IE which is organized and conducted with PADI representatives: PADI Instructor Examiners. You have different options to your PADI IDC, you can do it all in one go or one part at the time. You also have the possibility to do a segment of it online. Below is an explanation of each section of the IDC. One of the main objectives with the PADI Assistant Instructor course it’s give you the foundation methods for teaching scuba diving in confined water, open water training dives and in the classroom. 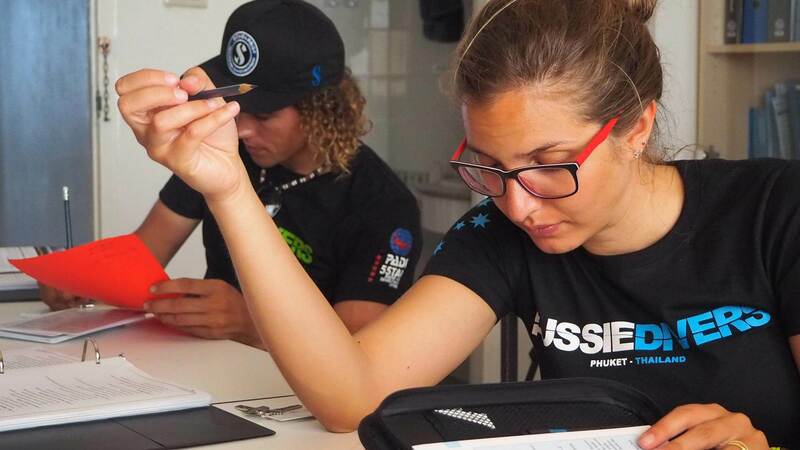 Another objectives as a PADI Assistant Instructor it’s to function as instructional assistants and independently conduct certain PADI programs. The main objective of the PADI OWSI is to teach you how you manage divers through mentor-ship for all the PADI programs from Discover Scuba Diving to PADI Divemaster and it will prepare you to function as an effective PADI Instructor by thoroughly familiarizing you with the PADI system and all its diver training programs. Now that you have done part one and part of the PADI you can attend the PADI IE, PADI examination. We have broken down the IDC course into easily digestible chunks for your to absorb. Please read through each section carefully so that you understand what is required of you, before, during and after the Instructor Development Course.